I know I've posted some potatoes recipes in the past, but I can't just get enough of them! Besides, I am always glad to prepare something different from what I have done in the past. Well, I can say that I am just super happy to share this recipe just to prove how delicious, colourful and easy this dish is. What not good to love about this dish? :-) Well, I don't think there is any really, cos it turned out to be among the most colourful and tasty potato dishes that have ever emerged out of my kitchen. 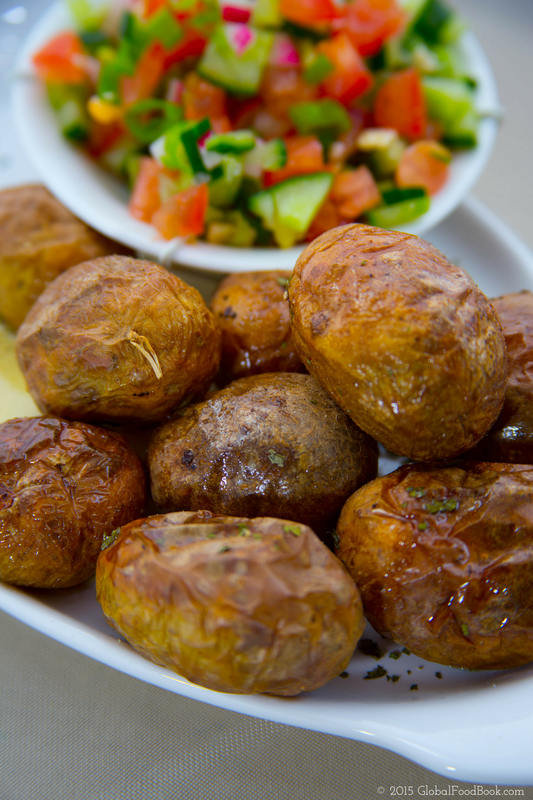 This potato was paired with some vegetables salad and I can assure you that it was a perfect combination. If you don't have any potatoes and fresh vegetables right now but you're interested in trying out this recipe, I highly recommend that you get some quality potatoes as well as fresh and firm vegetables from either your local farmers market or supermarket. Once you've done so, you too can have almost similar dish popping straight out of your kitchen. With this recipe, I've found it really easy, nutritious and tantalising and that is well beyond okay for me. The potatoes came out very soft and light, garnished with some freshly made vegetable salad, which makes a perfect accompaniment; Just exactly the way I wanted it. Honestly, even though I made this roasted potato and vegetable salad really so quick and simple, it still turned out to be really amazing, colourful and flavoursome. 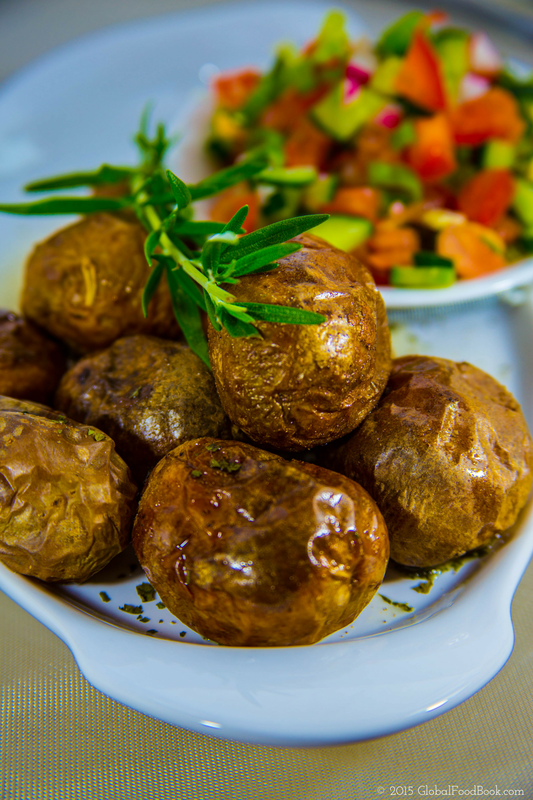 Basically, the potatoes were spiced and the salad dressed with lemon juiced and parsley herbs to make a refreshing salad that goes perfectly over some warmly roasted potatoes. Give this recipe a try and I have no doubt that once its ready, your entire family members will gather round the dinning table to enjoy a hearty, healthy, delicious and mouthwatering meal together. 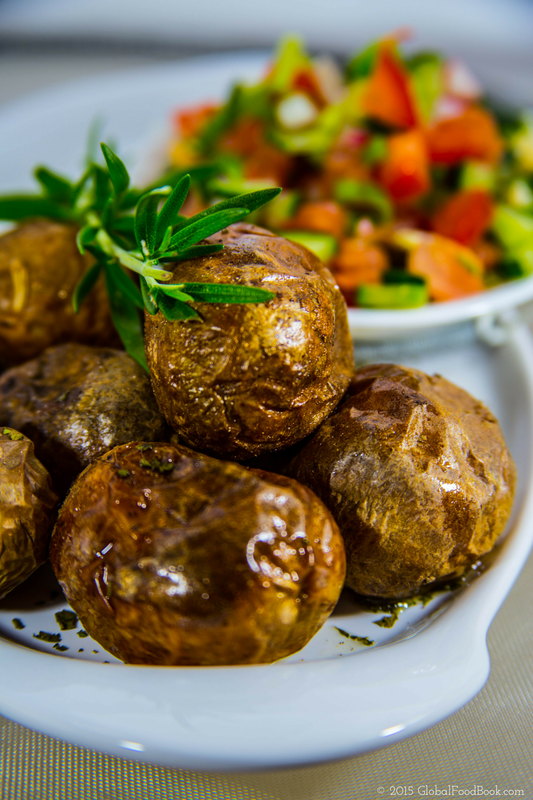 Wash potatoes, add in a baking dish, drizzle with olive oil, sprinkle with salt and dry parsley leaves. Place in a pre-heated oven of 150-200C. Allow to roast until cooked and golden brown in appearance. (pierce with skewer to ensure that skewer comes out of the potatoes clear and not stained). Add all the chopped vegetables in a clean bowl, drizzle with olive oil and lemon juice then mix thoroughly. 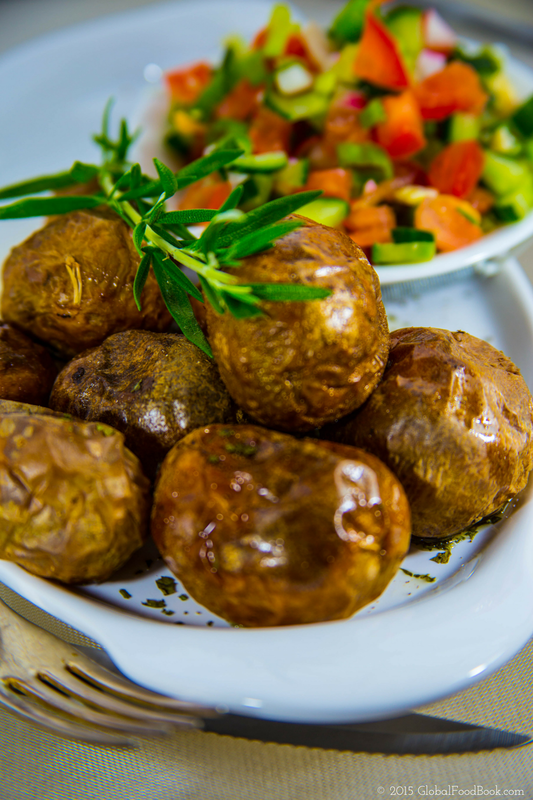 Serve roasted potatoes warm with the fresh salad.